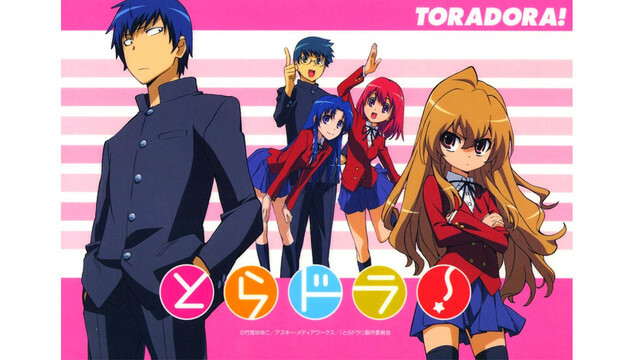 Description: Ryuuji Takasu has an eventful life: his classmates think he's a delinquent due to his 'killer' eyes; his crush Minori seems ever out of reach; and he’s just had an unfortunate encounter with 'palm-sized Taiga' – a feisty and dainty wench in his class. With different cleaning habits and tempers, the two clash like night and day; that is, except for the fact that Taiga and Ryuuji have crushes on the other's good friend! With school rumors abounding, the duo must now work together to play matchmaker for each other. Who will end up with their true love?